Holding dual citizenship requires no special application or the hiring of a third party if you wish to be both an American and Greek citizen. The United States and Greece allow you the privilege of holding both citizenships without conflict, as long as you meet the requirements of each country and do not commit the voluntary expatriating acts listed below. * Article last updated December 2, 2014. *The government in power restricted Greek citizenship and rolled back laws for non-Greeks, freezing all applications in November 2012. A new code was supposed to be drafted in 2013, but then Greeks elected neo-Nazis to Parliament and it was moved to 2014. No new laws have been passed as of December 2014. If you are an American citizen wishing to stake a claim to Greek citizenship through an ancestor born in Greece since you yourself were not, or you were born in Greece but never acquired a Greek passport for whatever reason, this is your right. Living in a foreign country does not affect the status of your citizenship, however you are required to report income earned in a foreign country by filing a U.S. tax return as long as you are an American citizen. Most U.S. and other non-EU citizens exercise the dual citizenship option as a way to live and work in the EU if they have no other alternatives. Greece also grants certain discounts and preferences to its citizens. These are its only benefits. “Acquiring Greek citizenship by claim of Greek origin” is one-of-a-kind guide to gathering your documents and how the process works, based on official documentation I translated and the first-hand experiences of Greek citizens who shared information with me. Lawyers, other websites and forums have ‘borrowed’ text without my permission and refused to remove it, so you are not necessarily getting confirmation from different sources and should be careful who you trust. This is the first step toward applying for a Greek passport and Greek national ID (tautotita), though these things carry little or no advantages since a passport from any country is widely accepted for everyday and official transactions. Any male between the ages of 19 to 45 should take note that mandatory conscription in the Greek military will be assigned upon acquiring Greek citizenship. Detailed information and website links can be found in the “Military Service” section. What are the pros and cons of Greek dual citizenship? Depends on who you are and what you consider pros and cons. If you’re a male aged 19-45, I suppose the con is a minimum of 3-9 months in the Greek military. However, I know many who don’t mind serving. If you’re not of Greek descent/origin and need to go through naturalization — such as a non-EU spouse of Greek citizen — the cons are many, including: Taking several months of government-sponsored Greek language and culture classes that may be full or inconvenient; long waiting period to apply (3-7 years); long waiting period for a positive or negative answer after submitting your application (another 1-5 years); non-refundable application fee of 700 euros, which was previously 1,500 euros and one of the highest application fees in the world. But again, many may not see these as cons or may have an inside connection and plenty of money to meet or bypass these requirements. Americans should also consult an accountant or lawyer to consider their tax obligations, if they plan to live abroad. 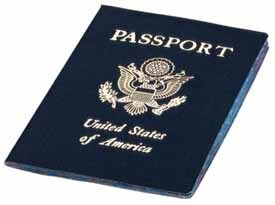 A record number of U.S. citizens who live and work abroad long term are relinquishing their citizenship and passports because of double taxation and other burdens imposed the government. Inheritance and tax laws are highly complex issues. The pros are uniquely personal. Some see dual citizenship as a privilege that gives them free movement in the EU, and some universities and institutions grant privileges to Greeks first. However, many hyphenated Greeks (Greek-Americans, Greek-Australians, Greek-Canadians, etc.) say that having Greek citizenship and a Greek passport does not change the fact they are seen as “not Greek enough,” simply because they have been abroad and are treated accordingly. Unlike other EU countries where those in possession of a national ID gives them special privileges, having a Greek national ID does not hold a higher status than a normal passport from any country. The bureaucracy required to renew Greek passports is also burdensome and far more complicated than countries such as the United States, UK, Canada and Australia. — Officially stating your desire to have your American citizenship revoked. It is otherwise assumed you wish to retain it. — Taking an official oath of allegiance to a foreign state. Taking a routine oath of allegiance, such as the one requested during the Greek citizenship process, is not considered such an act. — Serving as an officer in a foreign army or serving in any army hostile to the USA. Serving mandatory conscription in the Greek military as part of a Greek citizen’s duty is not considered such an act. — Serving as a high official in a foreign government. Accepting non-policy type employment is not considered such an act. — Making a formal renunciation of U.S. citizenship. — Working to overthrow the U.S. government. You can read about it at, “Possible loss of U.S. citizenship and dual nationality” on the U.S Department of State website. Many Greek citizens who can stake a claim to U.S. citizenship usually exercise this option as the first step to securing a U.S. passport. I know several Greek-Americans who choose not to hold a Greek passport if they already have an American passport, which they consider to carry more weight in the world in general. Some countries also allow Americans, Canadians and Australians to speed through long lines on occasion, including Greece. Please visit the U.S. Citizenship and Immigration Services website, which details immigration, years of residence, green card and citizenship requirements. Which passport should I use? The American Embassy and U.S. Department of State say that American citizens must use their U.S. passports to enter and exit the United States. There is no equivalent Greek law, but the Greek government’s Attica’s Citizen Centre states that dual nationals with a Greek passport use their Greek passport to both enter and exit Greece. And, if applicable, Greek citizens can use their Greek national ID or ταυτότητα/tautotita if only traveling within the Schengen zone. So if you’re a Greek-American citizen with both U.S. and Greek passports, you’d use your U.S. passport to exit the United States, then your Greek passport to enter Greece. When going back, you’d show your Greek passport to exit Greece, then your U.S. passport to re-enter the United States. The same for Greek-Americans in Greece. You’d show your Greek passport to exit Greece, your U.S. passport to enter the United States, then your U.S. passport to leave the United States and your Greek passport to enter Greece. Use of a foreign passport does not endanger citizenship. It means shorter lines, less fuss, no U.S. visa and speedier repatriation. However, some Greek-American men report that Greek authorities (inconsistently) request that they still use their U.S. passports to exit or enter Greece. *Nod to CO, SA. AR, LT for sharing first-hand information and official documentation. The information provided above applies specifically to American-Greek citizens. Greece is part of the EU, but each member state has different requirements and a different view on dual citizenship — it is wrong to assume all countries have the same requirements and same policy. Further, you also need to verify that the policy of your current home country allows it; for example, the United States may have a different view on dual citizenship with Syria. It is imperative to seek official printed literature or advice of authorized representatives of your country who are experts (not a forum, not a friend, not a lawyer who posts articles on the Internet and is attempting to charge money for things that normally cost nothing) before jeopardizing your current citizenship. Each case is unique, and what applies to one person may not apply to another. Note: It is redundant for citizens from other EU countries to seek dual citizenship with Greece since they are already authorized to live and work in any of the 27 member states according to each states’ freedom of movement laws detailed by the EC. However, some people go through the trouble because Greek citizens are given preference for student housing and can also work as civil servants. Expat forums/websites and lawyers have plagiarized this article without permission or attribution, which violates copyright and the law. Therefore, you are not necessarily getting confirmation from different sources. Note: If you run a competing website distributing information or news about Greece, please note my copyright policy and be aware that violations will be pursued. Hello συνονόματη! I just wanted to let you (and your readers) know that you can get “caught” if you try to enter Greece on your greek passport when you’ve left the US on your american passport. I left the US on my american one, and when I got to Greece (this was a few years ago) the ‘foreign’ line was long and I was lazy, so I used my greek/EU passport to enter. When I left the following month, and went through passport control, the dude flipped through my american passport and then asked me how I got in the country (!!!). I handed him my greek (obviously unstamped) EU passport and he hand-wrote in an entry stamp for the day I arrived (luckily I had my boarding pass stub). He proceeded to berate me but luckily I wasn’t fined (or worse!). Your blog is brilliant and chock full of info that is nearly impossible to piece together elsewhere. Hi Katerina, nice to meet you! I appreciate you adding your comment. The Hellenic Republic does not have a specific law on which passport to use, but it is recommended that you enter and exit a country with the same passport. Meaning, you would have been fine if you’d shown your Greek passport to exit Greece instead of your American one. At flight desk check-in, it’s fine to show your American passport so they don’t ask you for a visa required of Greek passport holders. However, at immigration, you need to use your Greek passport. Btw, I don’t think you’re lazy at all. I’ve seen passport control when I come back here, and they’ve got 3 guys working the EU/Greek citizens and 1 guy working the ‘other’ line. Of course you know what I’m going to say — the 3 guys refused to take any non-EU citizens, talked on their kinita and drank coffee while literally thousands of us crowded the hallway. An airport security guy took a photo because he said it was the most crowded he’s ever seen it. My fiance waited for me on the other side for a good 1.5 hours before I got out. Thanks for the compliment! Nice things keep me motivated and help me gauge whether I’m doing a good job. Please stop by again. P.S. I used to know how to knit when I was a teenager, but I gave it up when I started to work full-time. I am born in America, but would like to go to school in Europe. My father is a Greek citizen and lives in Athens. Would it benefit me to get a dual citizenship? Hi Angelo, I think that would be a personal choice. You won’t have any problem getting a study visa/permit if you’re accepted to the European school. If you’d like to stay on after your studies have finished and work in Europe, then you’d need to have a residence/work permit and this is where Greek citizenship would benefit you because a study visa/permit almost always cannot be converted to a work visa/permit. If you plan to return to the USA, then dual citizenship is not really necessary. Choosing to have dual citizenship is unique to an individual. As a Greek male, your main concern would be mandatory military duty being assigned to you upon taking Greek citizenship. As long as you understand your obligations and stay within the limitations (which are detailed in the article I wrote that covers this subject), you’ll be fine. So if I’m American and want to become a Greek citizen, I just need to apply through the Greek consulate if my parents were both born in Greece? There’s this lawyer online who says he can do it for me for 500 euros, is it worth it? As I say in the first sentence of this article, the hiring of a third party is not necessary. Any lawyer who has time to write articles and post them online is probably not very good; the majority of excellent lawyers I know get clients through referrals and are very busy, without having to advertise. In my 11 years, I’ve only hired a lawyer when going to court. Follow the guidelines given in “How to get Greek citizenship by claim of Greek origin,” and then decide for yourself if you want to spend 500 euros. Even if you spend that money, there’s no guarantee your application will be handled faster or better than if you did it yourself. I just took my baby (12) to the airport for his first semi-solo experience in Athens and beyond -me ta thei tou. My husband started talking about the kids having diavateria on the way home from the airport. So of course I Googled dual citizenship as soon as I got home. WOW! The breadth of your information blew me away. I called up to my husband, who was on the phone with his sister,tell her save a trip to the ministry-everything I need to know is here to start out. Yay I finally found a post to comment on. I have used your blog QUITE a lot since I came to Athens on May 31, 2011. It has been highly useful for a broad range of things pertaining to life here for a non-EU Citizen. 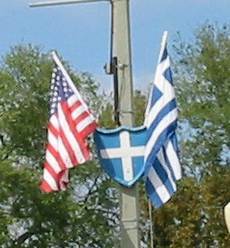 I am an American citizen and only third generation Greek. So after reading about claiming Greek citizenship through heritage here and several other sites I did not have the highest hopes of it actually working out. I also hardly speak Greek, conversational at best. Today and yesterday I went hoofing all around Athens trying to start my filings since none of my friends have been available to assist. I am pretty adventurous but when you don’t understand any of the signs or labels its daunting. Also for humors sake, I love when I ask someone, “Milas Agglika?” and they respond in Greek LOL and continue to speak Greek despite having answered that they do or little. So today I went to KEP and an office on Ypatias 6 and both places were VERY helpful and accomodating to me and my inability to communicate effectively. One lady even wrote down a paragraph in Greek for me to give a man at the next office I had to go (so he’d know what I needed). The man who will process my request for dual-citizenship explained what documents I need to track down and as long as I find them he said it looks promising. I then went to the American Embassy and a lady there told me that rather then going back to the US to wait for a work visa I can request an extension of the Schengen Visa. So today was a good experience. Yesterday was not quite as pleasurable. I obtained my A.F.M from the foreigners office in Viktoria. I first went to Monastiraki because I thought that was my closest office (to Gazi), then I was sent to Omonia, where the lady was a straight up *you know what*, then I was sent finally to Viktoria. Sidenote: even at 1pm broad daylight, there were at least 30 people congregated in front of a museum shooting up, I was mortified because I was not prepared to see that (and I hate needles). I’m generally prepared when I pass throuh Omonia. Also at the eforia in Viktoria they speak English and there are examples of the forms posted on the wall that show what each field means in English, so that was a godsend. So my dilemma that I present to you is that I have drained my savings that I came here with, I do not have a job now, but I may have an employer of a bar interested in taking me on here in Athens soon. My request for dual citizenship is processing and I may be able to apply for an extension of my visa….but what do I do to survive in the meantine, without going back to the US. I live in my own apartment in Gazi for only 250 euros a month and I paid for it through the end of September. Eating and living are of the essence though. What do you think? P.S. I went to the army recruitment office at Petrou Ralli this morning and he had no idea about citizenship for voluntary military service. He asked me to return tomorrow at 9am to show him this law and so we can discuss it further. So I will do that since I have nothing better to do lol. Thanks again for all your work here! Entertaining and informative. Not sure why you didn’t have the highest hopes of applying for Greek citizenship via ancestry, or why you needed to ask anyone about processing dual citizenship. A step-by-step guide on what documents are needed and the entire process is detailed at “Greek citizenship via ancestry, origin & descent” with contributions from people who used it and were successful. You could have done a great deal of it in the USA in English at the Greek consulate/embassy. Either you are confused or the American Embassy in Athens gave you incorrect information. a) You are an American citizen, but you are of Greek descent and male, which means you have the option to apply for Greek citizenship as a means to live/work in Greece and are eligible for military draft. b) Greece will not grant you a work visa or residence/work permit because you have the option to stake a claim to Greek citizenship, as described in (a). c) If you try to apply for residence/work permit as an “American citizen,” Greek authorities will assume you are trying to avoid military draft and refuse to accept your application as explained in “FAQ: Greek residence/work permits.” You cannot play both sides and be American for a work permit, and be Greek for citizenship via ancestry. You must be one or the other. d) Non-EU citizens of no Greek descent and without possibility to stake a claim to any EU citizenship are absolutely required be outside Greece to apply for work visas via the Greek consulate/embassy nearest their legal residence, then wait for approval from the Interior and Labor Ministry. One of many requirements for approval is the employer must prove that no EU citizen can be found to fill the position as explained in “How Americans/non-EU citizens can get a permit to move, live and work in Greece.” A bar job is not a specialty position. e) Visa extensions are granted on the basis of compelling reasons (i.e. hospitalization) and require proof of financial independence as explained in “Overstaying a visa in Greece.” If you apply for an extension, I’d appreciate if you took notes on what docs/fees were required and give back to the website in exchange for the useful information you’ve received since arrival. f) You will be expected to give answers on your military status and conscripted, as explained in “Mandatory Greek military service.” One of the only ways around it is to be a permanent resident abroad, a status you are forfeiting every day you stay in Greece. I don’t understand why you waited almost 60 days to start the process of applying for Greek citizenship and neither will authorities. I do not require people be grateful to receive advice, which is why this entire website is provided free of charge though it takes a lot of my time outside full-time professional and personal commitments. But I am more accommodating and appreciative when readers give back to the website and help me to help others. Consider contributing your experience. Good luck. The problem I have obtaining dual Greek-American citizenship (my mom is full Greek, born in Michigan; my Greek grandparents were born in Sparta and Gythio) is that the Greece Consulate in Illinois wants Greece proof that my grandparents were born there, of which currently I am having no luck obtaining. Grandparents were born at home and according to Sparti City Hall, records were not kept until 1925. Grandparents were born 1885 and 1890. I have grandparents USA Social Security documents, marriage license/application, and death certificates that all state they were born in Greece. What I’m puzzled with is trying to find when grandparents changed their names: Grandma was Ourania E____ in Gythio (Albina C___ in USA) and grandad was Charalambos K____ is Sparta (Harry L____ in USA). Name changes should have been legally registered in both Greece and the USA, and it was your grandparents’ responsibility or your parents’ to maintain family records (oikogeneiaki merida). All the help and advice I can provide has already been researched, translated, updated over four years and combined with the first-hand experiences of those who successfully did it at: “Greek citizenship by ancestry, origin or descent.” You can also look at comments from others in similar situations. I closed questions on that post for the reason listed in the last comment and give a recommended course of action. Your site provides great information, thanks. My boarding pass will say John. Will this matter anywhere in the procedure to enter or exit Greece or Europe if I want to use my Greek passport? I show the ticket agent and leave the US with my American passport, enter Greece with my Greek passport. When I leave Greece I will show the ticket agent my American passport (name will match on boarding pass) and show the Customs officer my Greek passport; show US passport on US arrival? Correct? Also, sometimes I connect in Europe (Paris, Amsterdam e.g) to Athens. Can I show my Greek passport in Paris customs on my entry and exit or will they ask for a boarding pass? In the section ‘How is my Greek name written in Latin?’ under “Greek passport,” I explain that Greece follows an ELOT 743 formula compatible with ISO standards to transliterate Greek names. Therefore, you may not have had a choice, and asking might have been fruitless, though some Greeks abroad report that they were able to have two names listed in Latin letters, i.e., Evridiki Sofia and Eurydice Sophie. There’s no way to predict if airlines and security will question this, as some people are familiar with international names and some are not. Greeks here will sometimes see Jon as a completely different name that Jonathan, even though it’s obviously a shortened version. The best thing you can do is be ready with both passports to show them the differences in your first name, if they question why your boarding pass doesn’t exactly match the Greek passport. What you stated in the fourth paragraph is correct, since all you did was repeat the example I give above in the article. In Europe, you should use your Greek passport/Greek ID; but, again, because of the difference in spelling on your boarding pass, I would keep both passports handy. My general experience in traveling over 15 years is they ask for your boarding pass and passport/identity at several points before embarking, i.e., At check-in (of course), in the passengers-only part of the airport once leaving duty free and food, at customs/border control, at airport security screening, at a booth where passengers fill out cards (some have it, some don’t), at gate security screening (some have it, some don’t), at pre-boarding check before getting on the plane. Once on the plane, they only care about your boarding pass unless you cause an incident. I wish to obtain dual citizenship with Greece. My mother is 1/2 Greek. (died this year) Her father was born in Sparti, Greece. I have his birth certificate from Greece. I have all the birth, death certificates of my grandparents and parents. Am I qualified for dual citizenship based on my grandfather’s Greek birth? I hope so. I love Greece, the culture and all associated with it. Please let me know your thoughts. To John and Kat: its sad when we have to use English names because people in North America can’t pronounce anything past one syllable. But one important thing to remember: names cannot be translated. For instance, the first part of my double [given] [English] name might be ‘John’, but that’s not my REAL name. It’s akin to situations where an English name is used instead of a Chinese name. I remember when I was stopped by customs, going into the USA — they were racially profiling me for some odd reason, and I have Greek and Canadian citizenship – they asked me questions in the beginning like, “what’s your name”, and I said to them “which one? My real name or my English name?” And he looked at me funny and asked, among other stupid things, “is your passport fake?” ….he was a moron obviously, but you get my point. Just remember to always be precise in those situations. And that names cannot be translated. Racial profiling happens everywhere, authorities sometimes pull you out of line because they need to meet a certain quota and pick ‘nice’ people, and attempts by passengers to be combative or clever can rightfully be interpreted as suspicious. In essence, I agree with you that Greek/English names should not be translated and aren’t the same, i.e., Vasilis is not Basil and Johnny is not Giannis, just as Greek words often don’t have an exact translation to English because the core meaning is lost. My cousin wishes to come and live in the US, he lives in Greece with his wife and has asked for my help in making it happen. Of course I want to help him as much as I can, but am not sure where to begin. Due to the poor economy there he has had to close his business and sell his restaurant. He is 56 years old and quite desperate to begin a new life here in the US. A family friend is willing to hire him as a chef for his restaurant, but we’re not sure how to proceed in getting him here legally and meeting all the requirements necessary for citizenship. While he has no one in his direct family living here, he has quite a few secondary family (cousins/ Aunts/Uncles). Eventually he would like to have his wife and daughters immigrate as well. There is so much information available it can be quite daunting to someone as inexperienced as myself. Should he go to his local immigration office, get a temporary work visa?, apply for a green card, get a dual citizenship, can I sponsor him as his cousin, or is that helpful? 1. Through a family member: A family member is defined as a fiance/spouse, child, parent and (last preference) adult brothers and sisters, plus there are a lot of requirements to sponsor someone, including income, domicile, 10-year legally binding contracts, medical exams and fees. It’s not as simple as being married or related. You can read more at, “Family members of U.S. citizens.” Green cards and citizenship are only granted after several years residency in the USA or ancestry, same as Greece. He can find out more by calling or visiting the U.S. Embassy in Athens or U.S. Consulate in Thessaloniki, who will give him the same info I gave you. It would be easier for your cousin to choose an EU country under less strain or send his daughters to work somewhere, assuming they are multilingual and of age. I wanted to let you know I just got word last week from the Greek Embassy in DC that my dual citizenship between the US and Greece just went through. They accepted my application by way of Grandmother. It took about 2-1/2 years. Thought I would keep you posted! I am doing great, and sorry I am not a follower of yours on Twitter. I am new to Twitter and have not figured it out yet! I appreciate your invaluable site. Without your website, I would not have know what to do and was able to get all of my ducks in a row when I first went to the consulate. My mother did receive her citizenship, but truthfully, I am not sure when it went through. I suppose it was over the summer of 2011 as that was the last contact I had with my point of contact at the consulate before she left her post to head back to Greece. At that point in time, she had said that my mother’s was not a problem and went through. With that said, the consulate has never called my mother to take an oath and when I went down last week to take my oath I asked the Consul directly about her case. They indicated because she got her citizenship directly through her mother and not through naturalization such as myself, it was not necessary for her to take the oath. Strange in my opinion. After taking my oath, the Consul indicated they had to send the signed paperwork back to Greece to be posted in the government gazette. They did not give me a reference for time. How long do you think it will take until I hear back again? At that point when the Consulate calls me back, will I go back and then register for my Passport, then the draft? Also, I wanted to point out that the Consul wanted to know where I wanted to be registered in Greece, I said Athens as I was not total sure if it had to be the same location as my mother which is Pireaus. They indicated because of my naturalization process it most likely did not matter where I registered. Lastly, I spoke with the Consul about me traveling to Greece prior to getting a Greek passport. She indicated it would be fine BUT as soon as I get my Greek passport she advised me not to go back to Greece until I get my draft papers stating I am a permanent resident in the US. Due to your website, I had the knowledge I needed and was able to ask appropriate questions. Please keep up the good work as I do frequent your website to work through the Greek system. Now it’s time to continue my fluency in Greek and hopefully get a summer home there! Please do not hesitate to email me with any questions and you’re welcome to add me as a case study. It was a relatively easy process, but took time. I had actually been gathering my data to submit since November 2008! Thanks for such an informative site! Thanks for the input. Seems as if I am in limbo as I’ve given my sworn and signed testimony which was sent back to Greece but I have yet to fill out any military obligations or the Pistopolitiko Monimou Katoikou Exoterikou. I’ve emailed the embassy to see if I need to do anything further. I’ll keep you posted as again, I value your site and hope that any information I give can help you inform more people. Hi Kat, Still no word from the Embassy here in DC, its been just about 4 months since I signed my paperwork with Greece. I’ll call the Embassy tomorrow. On a side note, I’ve not looked too hard, but do you have any information on your site or do you have knowledge of purchasing property in Greece? I’ve been doing a lot of research, but I figured I would ask you since you clearly are knowledgable on Greek affairs! HI Kat- Thanks for the advice on buying a home in Greece. We’ll see what happens with that. Just a quick note, I called the embassy to see how much longer before I get a call to come in and start the next process. They indicated most likely due to the elections, it would be another six months at minimum! I hope things are calming down just slightly in Greece. I’ve not been in-touch with the Embassy here in DC just yet about my papers. Last I spoke with them in April, they indicated due to the election(s) my papers would not be going through until workers knew they could see it through. Nonetheless, I am glad to hear Greece will stay in the EU (for now) and I will contact the Embassy to see if anything new has transpired (doubtful). Hope all is well in Athens! Hi Kat! Hope all is well! No word from the embassy! I figure I will call back in september after the august break! PSS- Is there a way to see if my name has been put into the Government Gazette yet? I’ve tried to look this up with no avail! Thank you Kat. Send me your information. I will call the embassy after the August recess and see what I can find out, although I am doubtful! Well I am truly giving you a play by play. I just got call from the embassy today stating that I needed to sign another piece of paper stating that I am not registered in a different municipality in Greece than I stated on my application. I just got a call from the embassy. They indicated that they received the certificate from the municipality I registered in and I can now apply for my Greek Passport! I guess everything has gone through but I still need to sign the paper work saying I live in the US right? It took a long time, but thanks to your website I am almost done! How are you? I got your message via Twitter, but you’re not following me so I could not send you a message. From the time you first left a comment, saying you applied for Greek citizenship via your grandmother, until now is exactly 2 years and 8 months! A question for you: Did your mother ever get dual citizenship? You last mentioned in May 2010 that her application was moving through the process, but never said whether it was granted and when. Also, may I add you to my file of case studies and contact you via email if I have follow-up questions? I appreciate you coming back time and again to share your experience and provide follow-up, and I’d also like to commend you on being patient and persevering to the end. I’m glad you got what you wanted. Ela, Luka! You should know better than to ask when Greece is going to do something. This country has its own timeline and results may vary. If you’re waiting for them to publish the decision in the Government Gazette and return papers back, you’ll need to wait for those, then you should be asked to complete papers related to your military status and register for the draft. When that’s done, you should file for a Permanent Citizen Abroad pistopoiitiko and then get a Type B exemption. At that point, you can apply for a Greek passport because the Type B certificate is required to do that. You can always move your oikogeneiaki merida/registration. It’s more important that you remember where it is. Because you’re of military age, you need to see the section ‘For males 19-45’, then ‘What happens next’ at “Greek citizenship via ancestry.” If you did the military papers and got your citizenship certificates, then you need to clarify your military status — in your case, I assume a permanent citizen abroad certificate (Pistopoiitiko Monimou Katoikou Exoterikou) and a Pistopoiitiko Stratologikis Katastasis Typou B’ are in order. I do not have instructions on the last two because I’m not Greek or a man, everyone I know did their military, and no one has contributed any first-hand info. Once that’s done, see “Greek passport” on guidelines to submit an application and look at average processing times for Greeks abroad. My obligations go beyond this website, but I’m always willing to help people who have given back. Like you. It’s clear to me when people make an effort to read the information before asking a question, and I know you’ve done that. Please don’t feel that you need to justify yourself. You’ve given back to the website, and I’m happy to help you. Any information you may have on applying for the Permanent Resident Abroad pistopoiitiko and the Type B exemption is appreciated. I typically collect first-hand information from at least three people, then combine it with official documentation to publish an article. Hi again, Lukas. As you know, I always try to combine real-life experience with official documentation to create my articles, and there isn’t one on buying property because I’ve no plans to purchase anything here. I know plenty of people who have, and some used lawyers and had an easy time and others had a terrible time for various reasons having to do with shoddy records, sellers lying about the properties and other bureaucratic obstacles that took years, experts (electricians, surveyors, engineers, lawyers, banks, accountants, etc.) and a lot of money to sort out. No one took detailed notes on their experience, so I cannot provide anything more than what is “supposed to happen.” I’m sure you know from your own experience that this rarely happens in reality. The day before you left your comment, someone complained that it was taking too long for Greek citizenship to be processed. I told him that 6 months is not a long time to wait, and that further delays would result from ministries not working and elections taking place. Not happy that you’ve had to wait such a long time. But glad that you and I are in sync! I think the fact we’ve had five different governments in 7 months has had a negative impact on state and consular/embassy services. It’s quite unfortunate, and I hope all turns out well in the end. One of the first things Samaras did as PM was shut down transparency in government circulars and laws, bringing the website to a halt and taking TV cameras out of Parliamentary boardrooms. Therefore, I have no information on where you could look up your name. 🙁 Sorry! Edo Ellada. Any notes you take on the permanent resident abroad certificate and type B military exemption are appreciated. I will contact you via email so you can give them to me privately. Yes, that’s right. I deleted Comment 11 on October 22 because I don’t copy info from other websites, but the text is included in the email I sent to the address you provided. Check your inbox, talk soon. I submited my papers to the Greek embassy near where i live in the USA. The person working there told me she will get back in touch with me when everything is all set. It has been over 8 months now. My father is in Greece now and wants to see if he can speed the process up or at least find out whats going on. Where would he go or call to find out whats going on. (He was told to go to Athens by the town city hall where my grandmother lives). I’m applying for dual citizenship. I have work lined up but eventually I want to start my own business. Does the Greek government offer aid, financial or otherwise, to entrepeurs like the US does? Any extras I can take advatage as a “re-patriot”‘? Also what am I allowed to import as far as personal belongings? I have a Pryus, a dog and a cat. I also want to build a little house in the village where papouli’s old rock kaliva fell years ago. Any advice on that? Lastly any advice on settling in, culture shock, navigating the beurocracy, plugging in to the internet, etc. would be much appreciated! Thank you for your blog!